In the Big East nobody wants to separate themselves as a top five team, as others have decided to take some ugly loses to the “bottom five”, a group of some pretty bad teams in the Big East. More losses to this group could result in some serious drops in seeding, as well as maybe out of the bracket altogether. Right now all eleven teams are solidly in the field after St. John’s big win over Duke yesterday. The Johnnies still remain the best candidate to drop out of the bracket, as they have alot of losses to go along with some quality wins. The Johnnies probably need six more wins, maybe seven to join the tournament field in 2011. That could be a tall order because there are many traps along the way. Cincinnati, in my opinion, is completely overrated but they will most likely make the field as long as they get to 8-9 wins in the Big East. The Big East might be getting a little too much credit this year, but it is still the best conference in the country so far. The eleven teams in the field is a result of large difference between those eleven and the bottom five, large amounts of parity between the eleven, and also some timely OOC wins. Come tournament time the Big East will probably not dominate the final eight and four because nobody seems to be that great. The Big Ten is also having a good year, and Ohio State appears to be the best right now by far. Duke with Kyrie Irving might still be the best competition for the Buckeyes. The next tier of the Big Ten is good, but not great. Purdue, Illinois, Wisconsin, Minnesota all seem to be comfortable right now, but none of them have shown me “top ten” this year. Michigan State is playing puzzlingly bad right now, and they were lucky to escape Indiana at home last night, because that could have put them right on the bubble. Penn State is in right now, but I honestly don’t think they’ll make it. They can’t win on the road, and their out of conference performance isn’t winning over anybody. They need to get to .500 in the Big Ten, and I don’t know if they can do it. The Pac Ten appears to be slightly better than last year, but Washington, Washington State and Arizona aren’t world beaters by any means. I expect them to probably pick up three bids this year. The Big 12 is top heavy with alot of teams faltering in conference play. Kansas, Texas, Texas A&M and Missouri are all good and locks, but Kansas State has plunged to the bubble and Nebraska, Baylor, Ok State and maybe Colorado have a chance. The SEC is no basketball conference. It still bothers me that Kentucky is ranked so high right now, they just aren’t that good. They’ve lost some games that top ten teams don’t lose. The east division will probably send atleast four teams, maybe five with Georgia, but the West flat out sticks, and right now it seems no one is coming from that side. Alabama and Arkansas have played better lately, but OOC/bad loses will doom them even if they pick up some quality wins from the East contenders. What a great night for the Knicks. Not only did they crush the Pistons 124-106, they discovered that they have a legit center. For the past ten games, Russian rookie Timofey Mozgov hasn’t played a single minute. Last night, with Wilson Chandler injured and Shawne Williams suspended for throwing a punch against the Heat, Mozgov was given an opportunity to show his talents. 23 points and 14 rebounds later, Mozgov proved to D’Antoni that he belongs on the court. What’s great about Mozgov is that he doesn’t try to play out of his shoes. When he’s down low, he does what’s expected. He had some great moves around the basket and threw it down when needed. Plus, he had some crucial rebounds in the beginning of the 4th quarter when the Knicks went on a 12-2 run to put the game out of reach for Detroit. 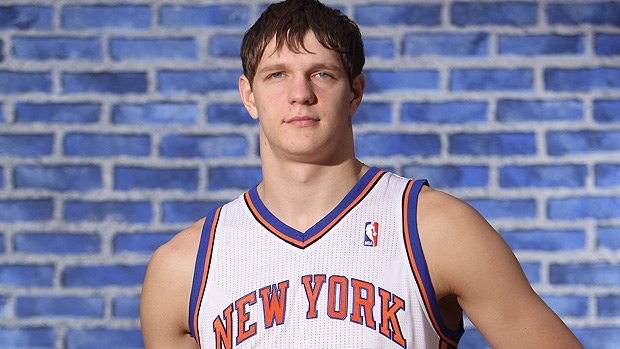 If Mozgov becomes a legit center for the Knicks, it will take a ton of pressure off Amare and all the other forwards. 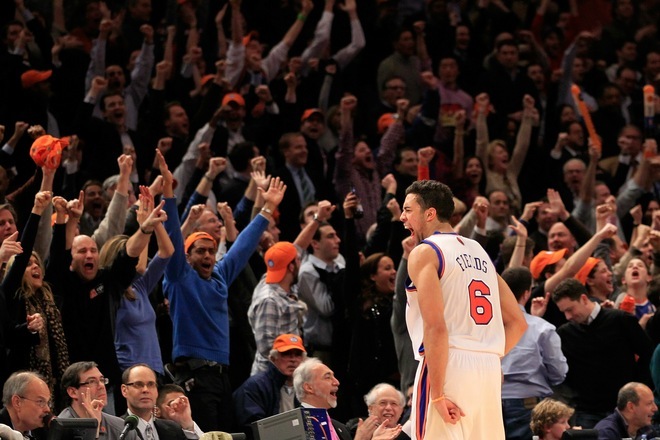 Last night showed once again how Knicks fans are the best in basketball. With a minute to go and the outcome of the game clearly in hard, the Garden started to chant, “Moz-gov! Moz-gov! Moz-gov!” Eleven years ago, I was at the Garden when Knicks’ center Chris Dudley dropped a career high 14 points. It sounded like a playoff atmosphere from the way the crowd reacted to it. That’s what Knicks fans are all about. They always show approval when the underdog steps up. The Knicks take on Dallas Wednesday night at 7:30. Well who saw that coming? Out of nowhere in the midst of a season collapse (had lost 5 of 6), St. John’s absolutely destroyed #3 Duke today. It was Duke’s worst road loss since the demolition they took down in Clemson two years ago in a 74-47 loss. St. John’s looked dominant throughout playing good defense and absolutely running up and down the court on the Dukies. While I’m not going to sit here and explain to you that St. John’s is suddenly a great team, or better than Duke, but this was a big win for a tournament resume. St. John’s is 12-8 (4-5 in the BE). With ten games plus the Big East Tournament remaining, there is alot of time for St. John’s to rise or fall. 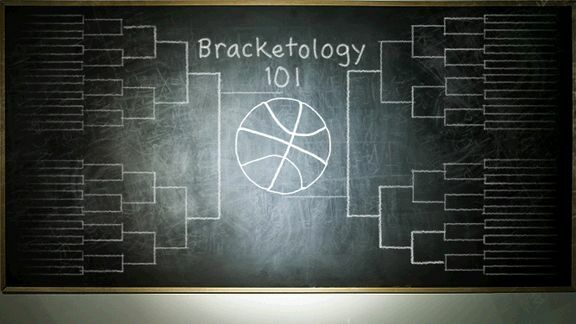 Right now they are in, quite in for you bracketology buffs. (Check back tomorrow for the latest Bracketology) If St. John’s can manage to play 500. ball the rest of the way, beating the Rutgers, DePauls and Seton Halls of the world, while managing another two or so quality win, the Johnnies will be dancing come March. Today’s win brings me back to my previous article, is St. John’s Back? Now that both are close to getting over the hump after an awful decade of Basketball, its time to come and out and show the support big time. 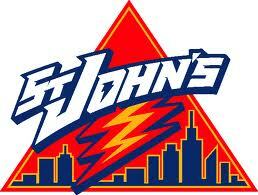 The Knicks have gotten it a bit, but come on out for the Johnnies too. Today’s game was sold out, which is good, but I’m sure 40-50 percent of the Garden were Duke fans, or neutral. St. John’s still has two top five teams (Nova and Pitt) coming to the Garden this year before the Big East tournament, so opportunity still awaits. For those of you who didn’t watch the skills competition, you missed out big time. All-Star Game begins at 4pm on Versus. George Lopez is not funny. By far, the most impressive win of the season. Before the game, Amare Stoudemire said that no one is scared of the Heat in the NBA. Last night, the Knicks backed up Amare and put together a 4th quarter comeback to beat the Heat 93-88. In the final minutes of the game, Landry Fields and Gallo hit clutch back-to-back three’s to put Miami out of reach. Even though the Heat didn’t have Chris Bosh on the court, this is a legit win against one of the best teams in the league. Let’s face it, this is what Chris Bosh does. When the fourth month of the season comes around, the dude has a mid-season vacation and sits out for a couple of weeks. Thank God the Knicks didn’t sign the guy. Now I hope LeBron realizes that he signed with the wrong team. If he wins a championship in Miami, nobody will care. Maybe he didn’t know this, but no one cares about the Heat in Miami. They can barely sell out playoff games. When the Knicks played there in the postseason a decade ago, no one was afraid of the Delta Airlines Arena. Last night, LeBron saw the Garden at its finest. He felt the energy of the city. When the Knicks are playing good basketball, New York is roaring. Just look at Amare and what he’s done for this town. He’s on his way to being the face of New York sports. LeBron had a chance to be the leader of the greatest city in the world, but he decided to take his talents South Beach. Wrong call dude. While the Knicks bring in Carmelo and create a dynasty, have fun staying ringless in Miami. Do I see Epstein doing this? Billy Beane? Didn’t think so. Cashman’s image has gone from baseball nerd to total badass in the span of six days. If you haven’t heard, during the Rafael Soriano press conference, Cashman stated that he didn’t have any part of the signing. He said that the Steinbrenner’s made the deal and he didn’t agree with it. When was the last time someone publicly argued against a Steinbrenner decision? Billy Martin maybe? 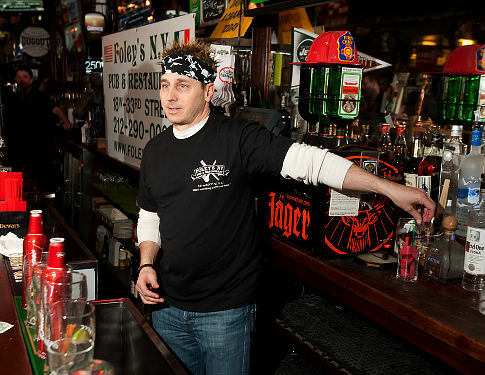 Then after sticking it to the Man, Cashman proceeds to rock a bandanna and bar tend for a night in the city. Awesome stuff.